The Shins have recently shared the latest single from their forthcoming flipped album The Worm’s Heart, titled “Heartworms (Flipped).” The Worms Heart is a complete rework of The Shin’s latest album Heartworms and is set to be released Jan. 19. 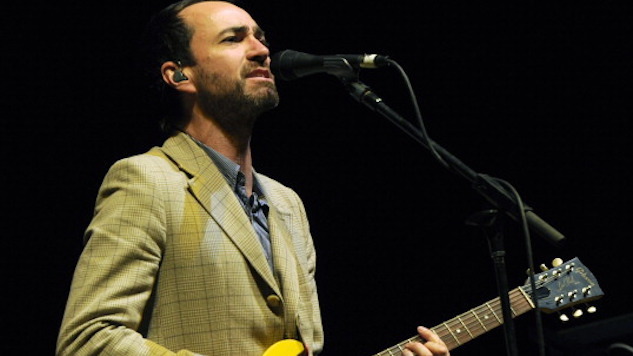 Songwriter and vocalist James Mercer came up with the concept for the album while writing, producing and recording Heartworms. His desire for an alternate/opposite version of the album paved the way for the garage-growling work that is The Worm’s Heart. As the “(Flipped)” in the title suggests, the album juxtaposes its predecessor by taking their previously recorded songs and turning them into their own opposites, reworking the songs into something completely new, while keeping the lyrics and melody intact. This technique breathes new life into The Shins’ work and fans so far are loving it, with comments on YouTube indicating that this new album may signify the return of the “classic” Shins that so many know and love. The Worm’s Heart is available for preorder now, along with immediate downloads of three songs off the album: “Name For You (Flipped),” “Cherry Hearts (Flipped)” and “Dead Alive (Flipped),” which the band released last week. Preorder the album here, and listen to “Heartworms (Flipped)” and the original “Heartworms” down below.